Watercolour has never really been my forte but when I saw Karen's beautiful card to CASE at Time Out I reached for my dusty watercolour pad and had a play. I embossed a small doilie from Waltzingmouse in gold, sprayed the paper with water and then filled in some of the pattern with some distress inks. 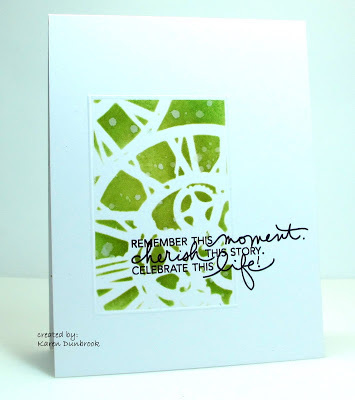 I based my card on Karen's clean and simple design and the round clock face which made me think of the circular shaped doile stamp. That's all from me folks - thanks for popping by! 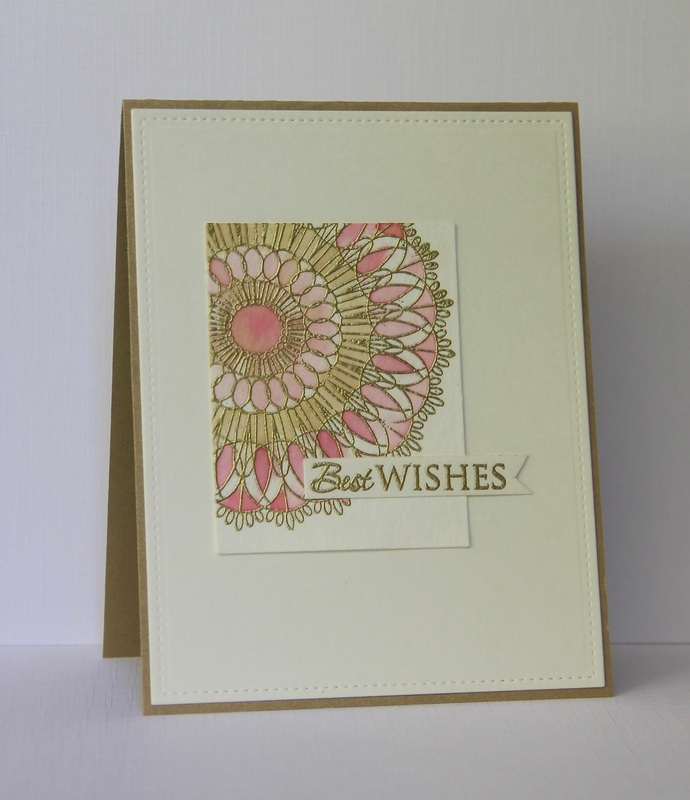 Love the gold embossed doily. Congrats on the HM recognition.